I love making Valentine Crafts. If you follow my blog then you know I have made quite a few Valentine crafts this past month. 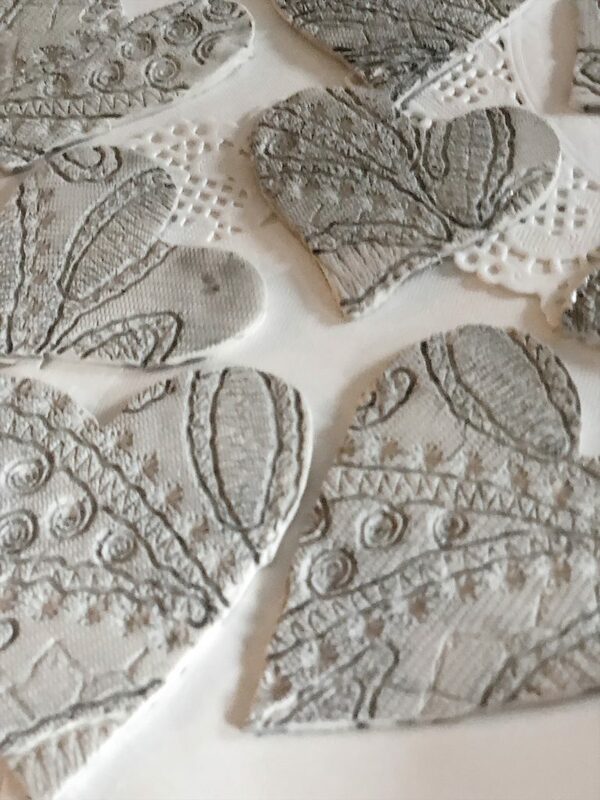 These silver metallic clay hearts were inspired by vintage metal heart shaped lockets. I thought it might be fun to make something similar.